As of Thursday, January 11, the last three weeks of DC temperatures have been at or below freezing. SO DARN COLD! We've all had the most awful colds, flu, stomach viruses--on repeat no less--and forced indoors for the temperatures. Yet, it was like the all mighty Mother Nature knew we needed some slack and the temps rose into the low 60s on Thursday and nearly 70 yesterday, just in time for my birthday. Temperatures have dropped dramatically back into the 30s today with snow flurries, so I find it quite interesting that both this year and last, January 12 has been a random winter day we've been able to enjoy-and that we did yesterday. Scott took the day off so we could have an entire family day together. 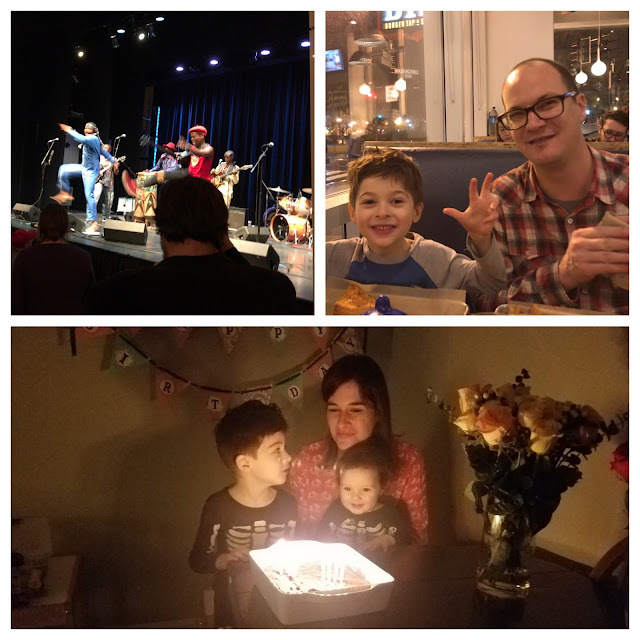 Birthdays are a big deal for me-I realize not everyone feels the same way, and as such, I've taken matters into my own hands and plan my own so that expectations are managed. Really it's a day that I want to take full advantage of-from morning to night-and not be idle. We started out our day at Pinstripes Bowling in Georgetown. 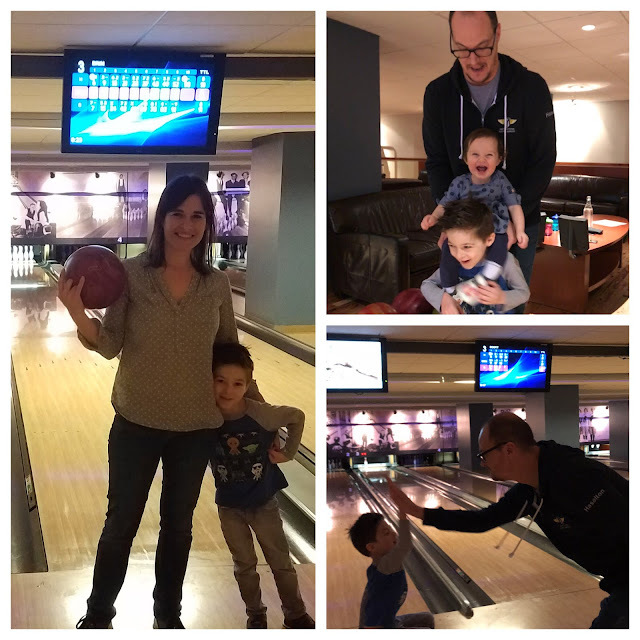 I had taken the kids previously but it was the first time we had bowled as a family and what great fun it was. We had the entire alley to ourselves and the kids enjoyed waffles and the adults, beer. After bowling we walked down to the Georgetown waterfront which has been on my bucket list for a while. 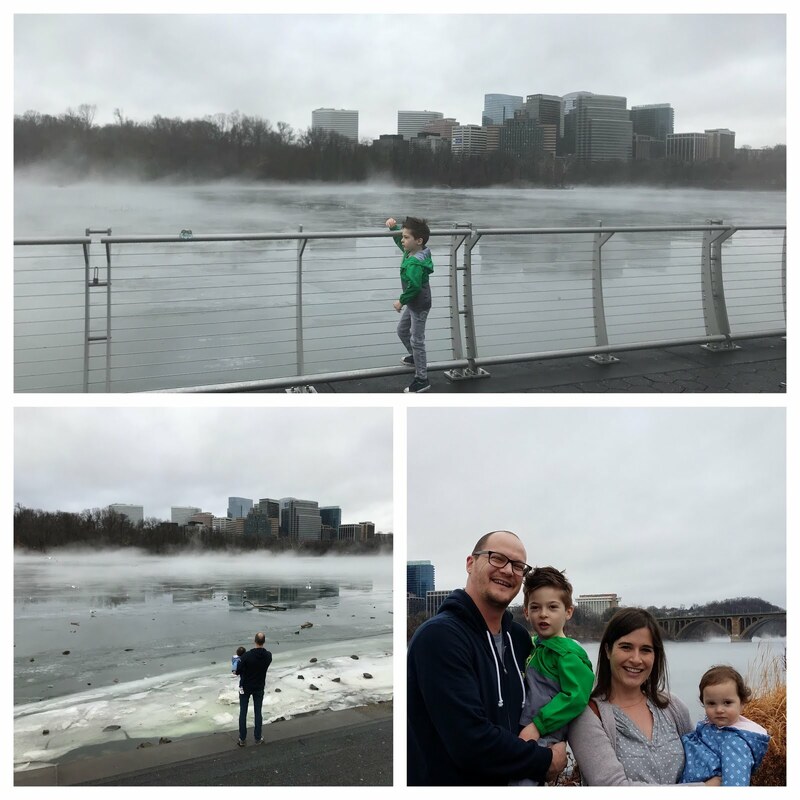 We were treated to a really cool phenomenon-the temperatures rose so suddenly from the previous three weeks that the Potomac was still frozen, but a combination of steam was coming off and fog from above made for an eerie sight. We watched the seagulls skid to landings on the slightly thawing river and simply enjoyed being outside. Rain was scheduled for the entire day, but (again, thanks Mother Nature!) it rained only overnight and the forecast moved the showers to evening. On our drive home, we even got to see Julia Child's DC home. After our Georgetown jaunt, 3/4 of us headed home for naps. 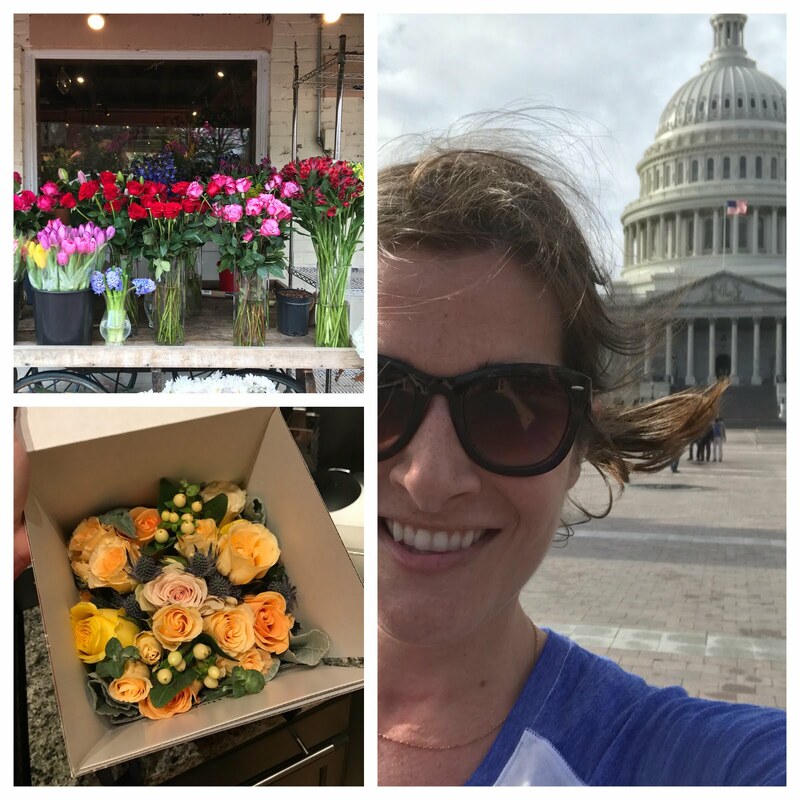 I took advantage of the opportunity for some solo time and jogged to the Capitol during a beautiful break in the clouds. I made some phone calls and even caught my mailman during his delivery to inquire and receive a much anticipated package from my parents (thanks mom and dad! ), and to discover it was his birthday too. (We have the WORST mail service out here. Another post for another day, but basically there are a handful of awesome USPS workers out here and if our particular mailman, Adrian, is not delivering mail but supervising at the facility, we may not see certain packages for days...or ever.) So, it was great to be able to wish him a happy day too. After returning, the kids and I were also treated to a genuine bike messenger flower delivery-super cool points on that one!